We have many Leagues to offer! Come join a League and enjoy the fun! As a League bowler you will enjoy special discounts, tons of fun, and a great environment to meet new people. 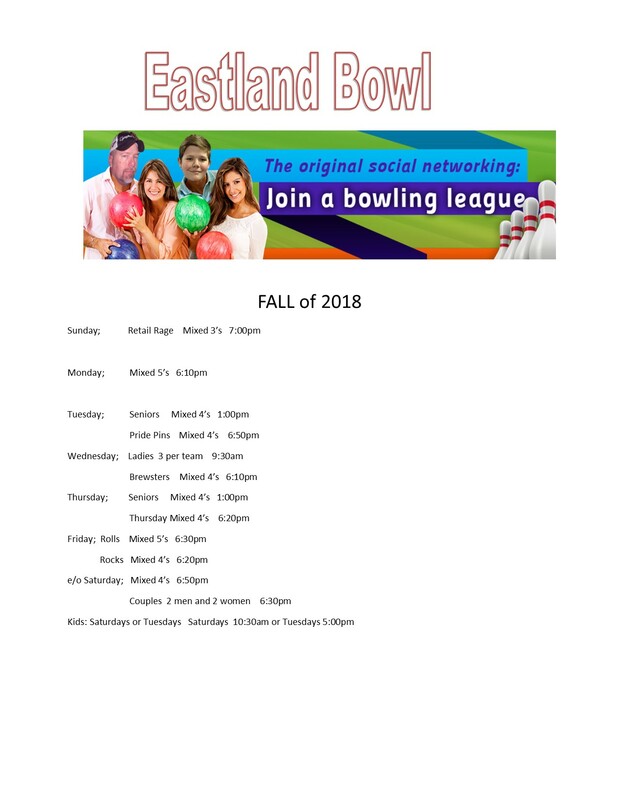 At Eastland Bowl we make league bowling a great way to improve your game and a great way to have fun. We can host group events as well! Book your next party with us!